Stuttgart – Battery storage systems in electric cars could soon be to renewable power grids what power banks are to mobile phones: an external battery pack. Quite practical, really – were it not for those pesky charger cables. 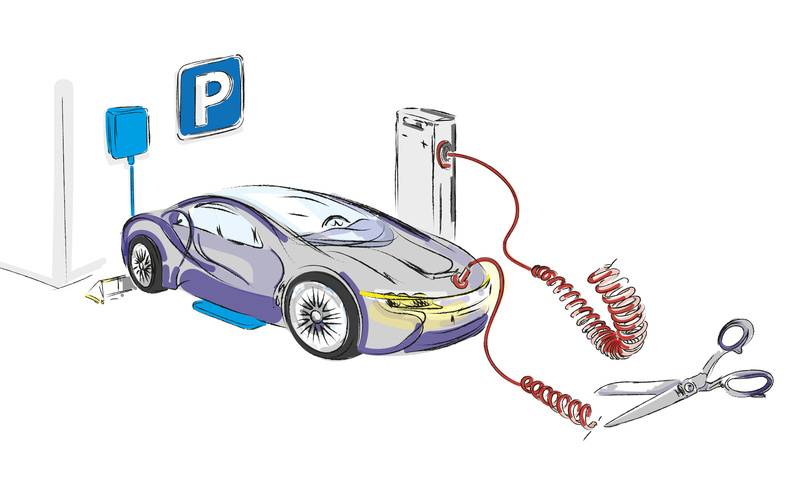 Currently, drivers have to brave the elements to connect the cable from the charging station to their electric cars. This could be about to change: Bosch, acting as project coordinator, is working with the Fraunhofer Society and GreenIng GmbH & Co. KG on research into an innovative concept for charging vehicles inductively – that is, without physical contact – through a magnetic field while the car is parked at a charging station. But this new technology can do even more: it also helps make electric cars much more eco-friendly to drive, and power grids more stable. One challenge to their stability lies in the fact that the amount of energy obtained from renewable sources such as wind, sun, and water is subject to natural fluctuations. With this in mind, the consortium, collaborating through the publicly funded BiLawE research project, is developing an inductive charging system to establish an intelligent infrastructure for the sustainable use of renewable energies. Their solution is based on electric car batteries that enable bidirectional charging: the batteries use a powerful and intelligent charging system to store energy, but they can also feed this energy back into the grid as needed. When strong sun and wind result in generation peaks, the electricity will be temporarily stored in the car batteries. When skies are overcast and winds are calm, it will be fed back into the grid to meet demand. “To make this system work, electric vehicles must be connected to the grid as often as possible and for as long as possible. 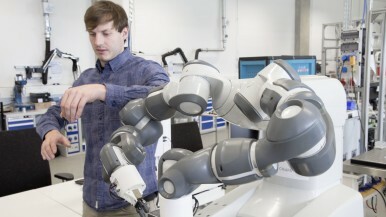 This, in turn, necessitates a stationary infrastructure – that is, special inductive charging stations that we want to connect to public and local grids, or even isolated grids that supply only a limited area,” explains Philipp Schumann, a physicist who heads up the project at the Bosch research campus in Renningen. The advantage of the inductive system is its wireless charging. 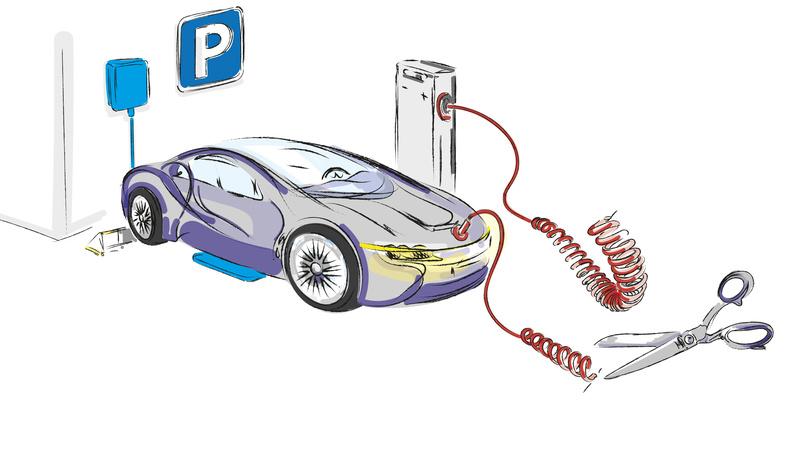 Because vehicles no longer have to be connected manually by means of charger cables, they can be connected to the grid more often. The project thus also aims to develop a concept for the economical manufacture of charging system components, as well as a business model for various grid services associated with energy recovery. 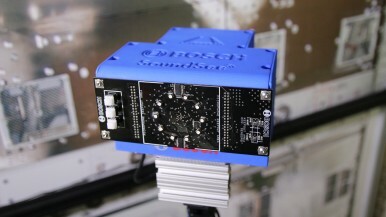 And because the bidirectional charging stations are connected to the grid, they can also reduce the load on and stabilize the grid even when the vehicles are on the road. The BiLawE (from the German for bidirectional, inductive charging systems economical in the grid) research project received 2.4 million euros in funding from the German Federal Ministry for Economic Affairs and Energy as part of the ELEKTRO POWER II program, and is supported by the leading-edge Electric Mobility South-West cluster. The partners in the project, besides project coordinator Robert Bosch GmbH, are the Fraunhofer Institute for Solar Energy Systems ISE, the Fraunhofer Institute for Industrial Engineering IAO, and GreenIng GmbH & Co. KG. The project kicked off at the start of the year and will run for three years. The Electric Mobility South-West cluster is one of the most important regional associations in the field of electromobility. 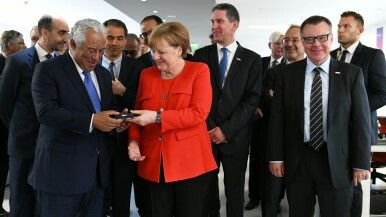 The cluster aims to drive forward the industrialization of electromobility in Germany and to establish the German state of Baden-Württemberg as one of the major providers of electromobility solutions. It brings together leading corporations and SMEs and networks them with local research institutions in four fields of innovation: vehicle, energy, information and communication technology, and production.